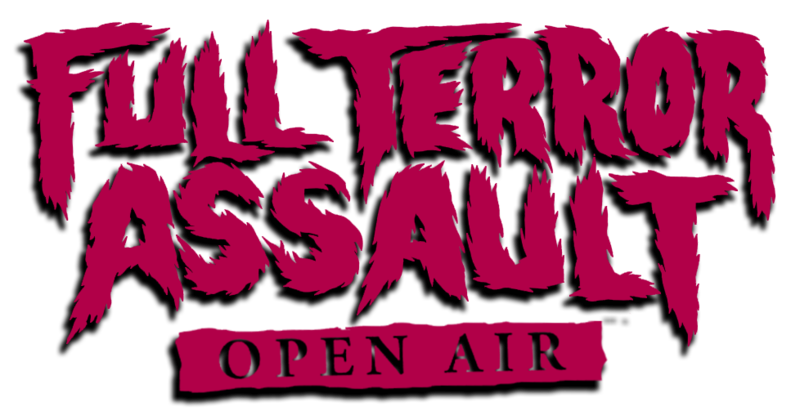 Full Terror Assault is the first “TRUE” European style Open Air Festival for extreme music fans right here in the USA. This is NOT a pay to play event and is independently run by a small team of passionate folks, including a promoter who has been involved in the “underground” and extreme music for over 25 years. We know many fans have never had the chance to attend an event like this and we want to change that. Here is what you will find within: An amazing scenic wooded camping area right on festival grounds with over 100 acres containing lakes and a beach. Four (4) days of all things metal on 2 stages, with bands representing all genres of metal and anything with attitude. If that isn’t enough, FTA will have campsite contests, costume contests, a morbid metal market, food vendors, after parties with bands, and a DJ to keep the party going all night. This event is designed to bring metal fanatics of all walks of life together for a celebration of extreme music without breaking your wallet.